Award Winning Anti-Spam that really works. Advanced Yet Easy-To-Use Spam Filter Solutions. What can SpamTitan do for you? 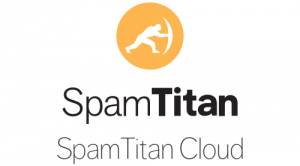 SpamTitan blocks over 99.9% of spam, viruses, malware and other email threats. We provide advanced email security for your business without making it complicated. Unsolicited emails, phishing attempts, spoofing and illicit content are just some of the categories of unwanted email that SpamTitan blocks. Hundreds of advanced tests scan your email separating unwanted email and security threats from the email that you need to run your business. SpamTitan keeps learning too, becoming more resilient over time, continuously improving your protection. Dual anti-virus protection makes sure that you are doubly protected against the threat of viruses that are circulated via email. 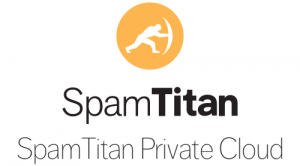 SpamTitan has two on-board virus detection engines that constantly scan in bound mail for malware and viruses. Robust protection for your email infrastructure that is always up to date and evolving to protect your business. You are guaranteed to see spam decreasing overnight. Small business, big business or service provider. On-site or in the cloud. SpamTitan flexibly caters to your needs. Get up and running in minutes. Intuitive interfaces and reports that you can understand make your email security easy. This allows you to set and forget your email spam filter saving precious IT resource. Spamtitan is a Multi Award Winning IT security product in 2016 including 36 consecutive Spam+ Virus Bulletin Awards. SpamTitan removes spam, viruses and malware, and links to malicious websites from your emails. Are you responsible for your network security? Want a partner you can rely on? We’ve got your back. Comprehensive Email Protection Made Easy. 99.98% Spam Detection. Bitdefender and Clam Anti Virus. Content Filtering. Cleaner email. Easy.